Who is Involved When Foreigners Buy Mexican Real Estate? In Mexico, the purchasing process for real estate may come with differences that you are not familiar with, which is why having the right company or people working with you is essential. Choosing a reputable realtor is very important. 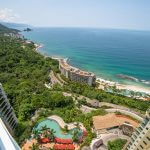 When you buy Mexican real estate with the help of a professional and experienced team, you will notice the difference. Genuine real estate agents that are trained and knowledgeable to be there with you during each step of your way while purchasing property in Mexico is a godsend. Notaries in Mexico (Notario Publico) are licensed attorneys who are certified by the Federal and state government. A notary in Mexico is very similar to a Canadian notary, but with more responsibilities than a United States notary. Notaries in Mexico have to pass many exams that the Mexican government requires. The notary must provide original records, documents, and the documents that they record with the Public Registry of Property. The role of the notary in Mexico is a serious role as the notary could be liable in criminal and civil courts. The Mexican notary handles tasks that include capital gains tax calculations, legal document authentications, and being responsible that all real estate property transactions are properly done in Mexico. Any real estate purchase that has not been ratified with a notary, then recorded with the Public Registry is not legally valid. The notary is responsible for all real estate transactions with the seller, buyer, and the Mexican government. The Trustee Bank is the authorized Mexican bank that will represent you as the Trustee (Fideicomiso), and the Trustee Bank financial institution must be registered in Mexico and possess a trust department that has been well established. You have the right as a buyer to choose any bank that is qualified and that bank will ensure that closing of the property will be done in a legal manner and an appropriate one. The Trustee will issue a trust for you, the buyer’s sole use for the property, then making sure that nothing can be done to the property without your consent and written instructions. Your trust is also protected against the bank’s bankruptcy by the federal government. Although it is often recommended, using a lawyer is an option and not mandatory. Having a lawyer will mean that you will be represented by the lawyer and all of your legal transactions are protected. The lawyer will create and provide contacts, go over the terms, and the conditions of the property sale. By law, only a licensed Mexican lawyer can actually give advice to you on the laws in the country. In Mexico, no foreign lawyers are permitted to practice law here and they shouldn’t be giving any advice on the laws in Mexico. Also, if you hire a lawyer, then your lawyer will represent you, protect you legally, and your best interests and transactions, which will save you money in the long run. Many of the lawyers in Mexico have contacts with the right banks, notaries, and even the Mexican government due to their constant involvement in many real estate transactions.